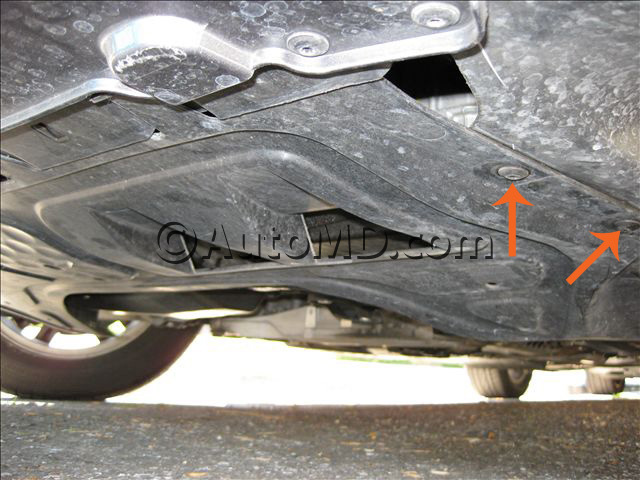 Secure the vehicle on a level surface, making sure the vehicle will not roll or lean when jacked up. Use a jack to raise the vehicle. 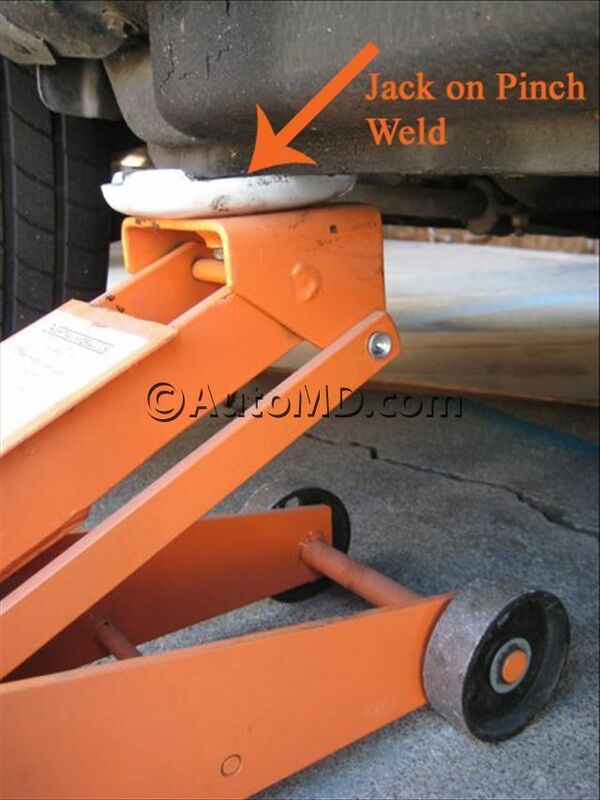 Secure the vehicle with jack stands on both sides for safety before starting any work. Do not rely on the jack to hold the vehicle up while working. Locate the engine splash shield. Inspect the engine splash shield for damage. Remove the old, damaged splash shield. Inspect mounting locations and hardware for damage, replace as needed. Install new engine splash shield. Ensure engine splash shield is secure. Lower vehicle and road test to verify repairs.